Following a meeting in Moscow between Russian Defence Minister Sergei Shoigu and his Indonesian counterpart Ryamizard Ryacudu, the two countries have committed to strengthen defence ties. According to statements from the two governments following the meeting, there will be further opportunities for procurement and military-technical co-operation. "In line with the concept of defence diplomacy promoted by Indonesia, the Indonesian Defence Minister believes that Indonesia-Russia has a great influence and capability in taking a role in maintaining regional security stability, which in turn has an impact on world peace and order," a release from the Indonesian Ministry of Defence said. "Another fundamental thing from the Indonesian defence diplomacy component is that Indonesia has always put forward the concept of defence strategy, namely without having enemies from any country. "Russia has been a diplomatic partner country in various fields, both in the procurement of defence equipment, increasing the capacity and capability of Indonesian military personnel. In addition, the Russian government supports Indonesia's efforts to play a role and maintain world peace and order." Minister Shoigu noted the "intensification of the political dialogue, expansion of co-operation in the areas of security, military and military-technical co-operation" between the two countries. "We consider Indonesia to be one of the key partners in the Pacific Rim," the Russian Defence Minister said. "We hope that, having become a non-permanent member of the UN Security Council for 2019-2020, Indonesia together with us will conduct fruitful work on topical issues on the global agenda." 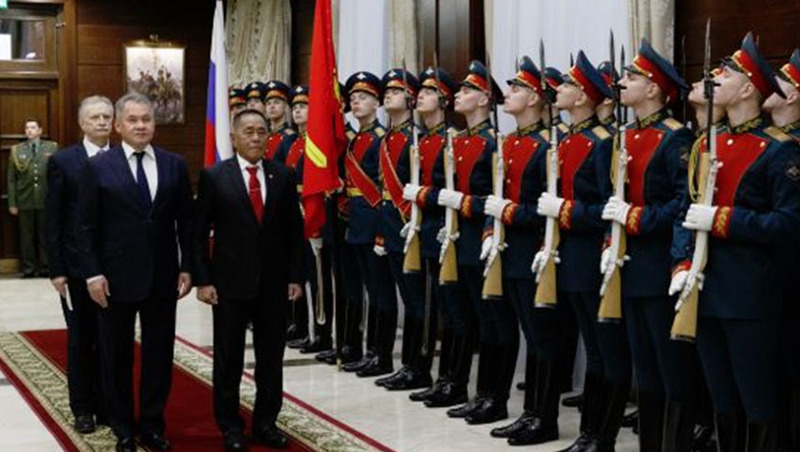 Minister Shoigu also noted that relations between Russia and Indonesia have reached its 70th anniversary, which is "traditionally built on the basis of friendship and mutual trust". The timing of the defence commitment is interesting considering just last week Moscow was forced to deny allegations it had interfered in the Indonesian election, after claims from President Joko Widodo that "Russian Propaganda" had been "spewing slander, sins and hoaxes" against his campaign. "As we know, the term 'Russian Propaganda' was coined in 2016 in the United States during the presidential election. This term has no basis in reality," the Russian embassy in Jakarta tweeted following the claims. "We underline the principal position of Russia is not to intervene in domestic affairs and electoral processes of foreign countries, including Indonesia, our close friend and important partner." The Indonesian President did not elaborate what he meant by "Russian Propaganda" and also did not identify the opponents involved in the campaign.